Some advice on plant selection, soil, fertilizing and maintenance. You may find that some container-grown shrubs come thru winter just fine, especially if they are in large planters with plenty of soil around their roots. 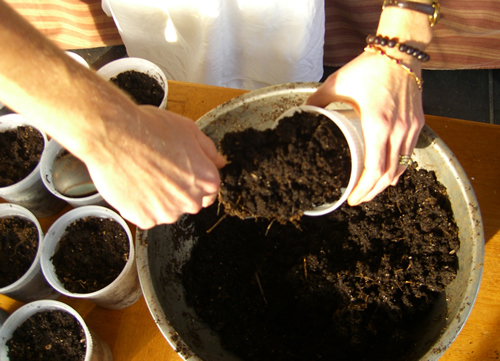 You don't want roots to sit against a cold frozen pot. Some areas of the country are just to cold, so no matter how large the pot is nothing is going to help protect the root systems. If you move your pots to a protected area away from winter wind exposure that really helps. Of course the best thing to do is sink the plants into the ground in the fall. The other thing is to move them into a sheltered location out of the wind and cold. Be sure the roots are well watered before soil freezes and lay a layer of garden mulch around the planter to help protect it from the cold. When it comes to fertilizer choices it is always best to read the manufacturers directions on the package. Water soluble fertilizers last the least amount of time and need to be applied every two weeks or so. Time released fertilizers feed up to a couple of months and some will even last the entire season. When it comes to houseplants they should be fed during their growing season. All plants should be fed while blooming. If a plant has a short root system they really don't require large pots. 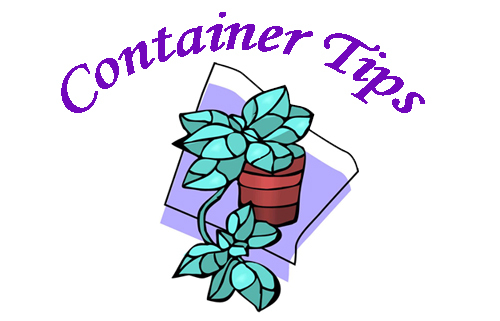 However you want to remember that the smaller the container the faster the soil will dry out and the more attention the plant will require. 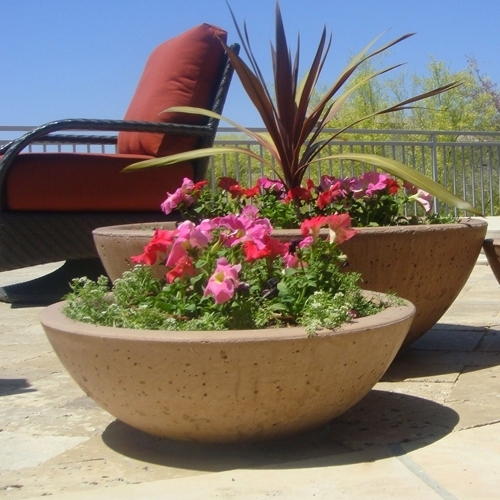 If you can afford the space and price the best thing to do is go for the larger size of planter. 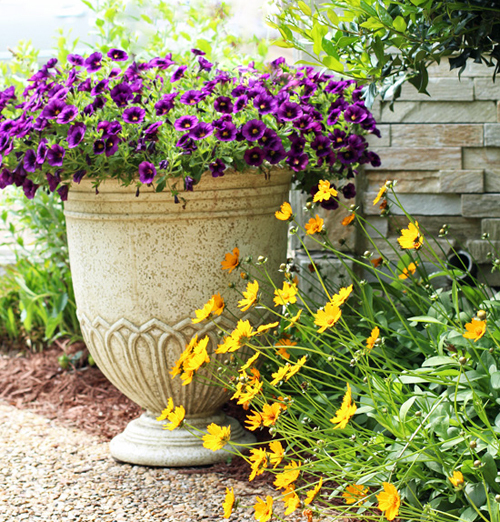 By starting with a larger planter than needed you will not have to re-plant the plant, bush or shrub as much. Every time you re-pot a plant it is risky business.